A collection of celebrities and film stars wearing designer clothes by Charles and Patricia Lester. 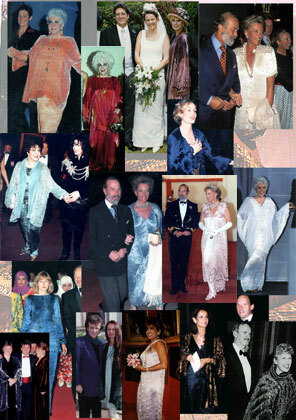 Celebrities dressed by Charles and Patricia Lester. Hello Article, The Duke of Westminster's jewellery and designers dresses. Celebrities wearing designer clothes by Charles and Patricia Lester. Contact | Shop On-Line | Designers Biography | Location of the Studio.